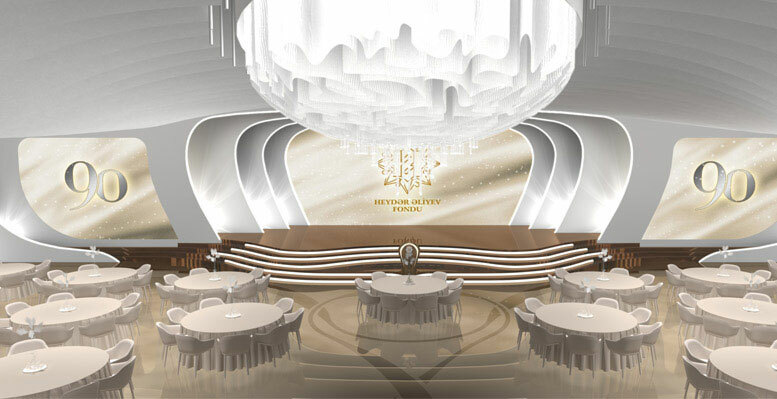 On 10th may of every year the Heydar Aliyev Foundation celebrates the achievements in the fields of culture, safeguard of the cultural heritage, welfare and promotion of Azerbaijan in the world. 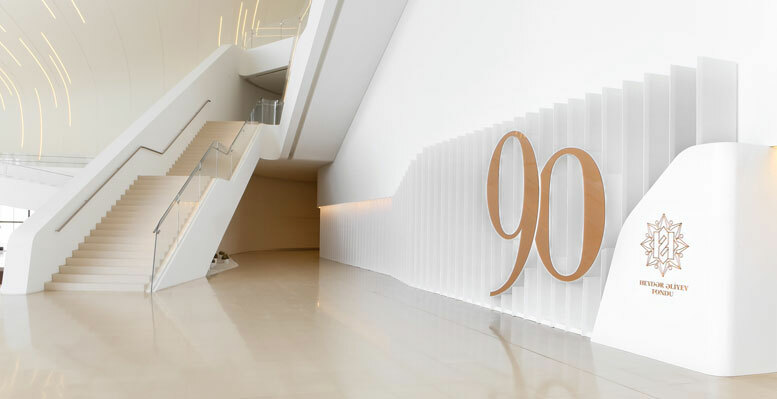 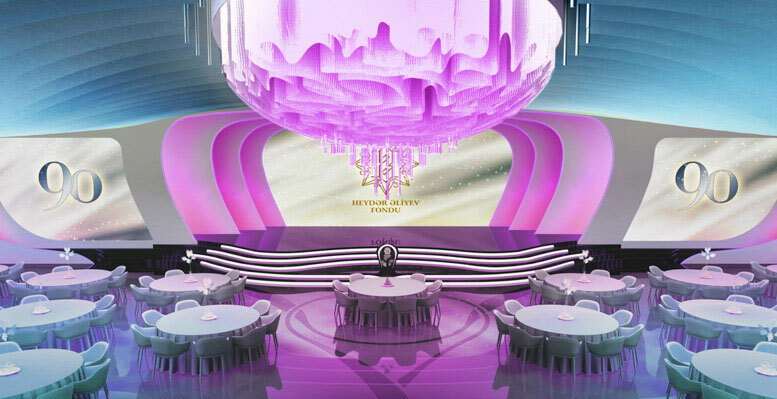 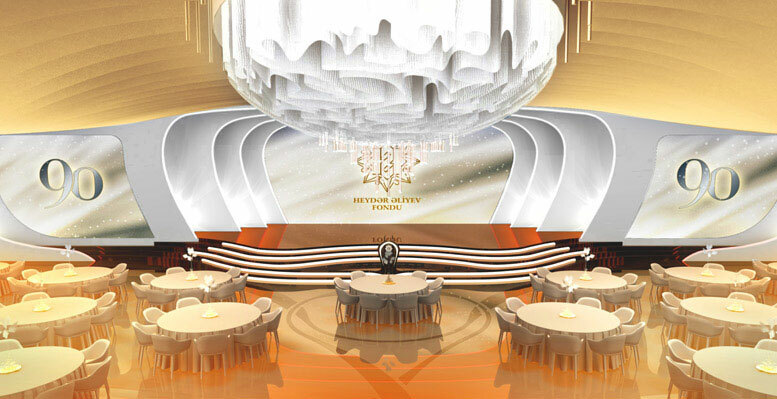 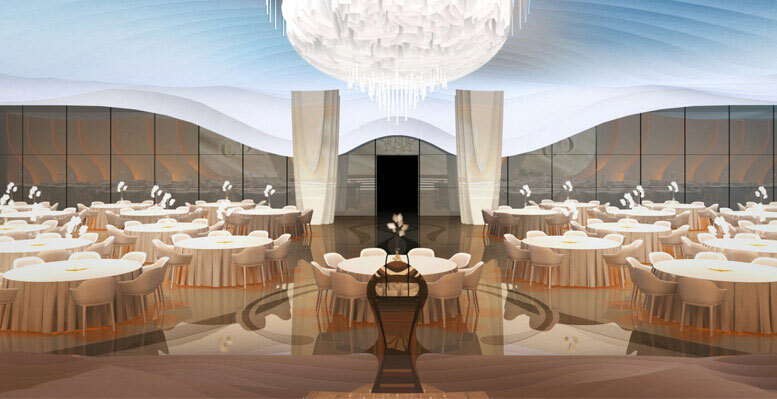 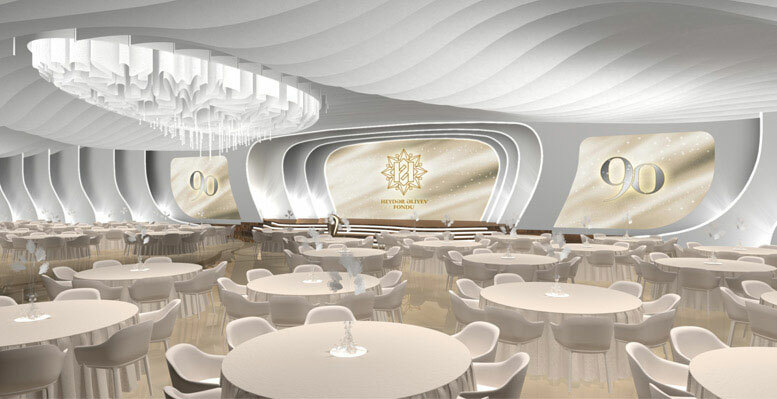 Simmetrico looked after the concept, the design, the executive production and the direction of the gala dinner. 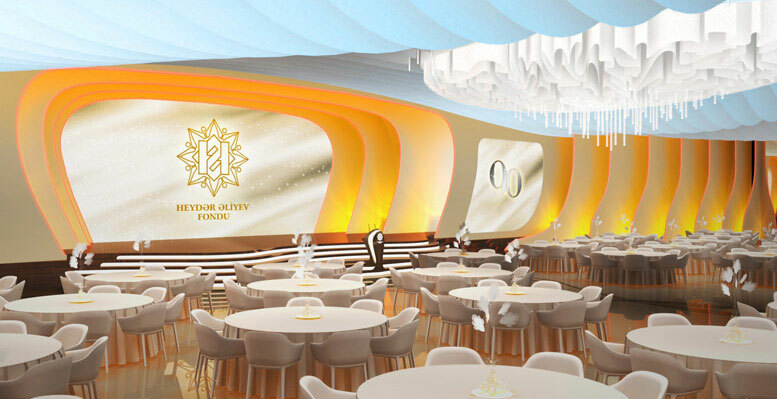 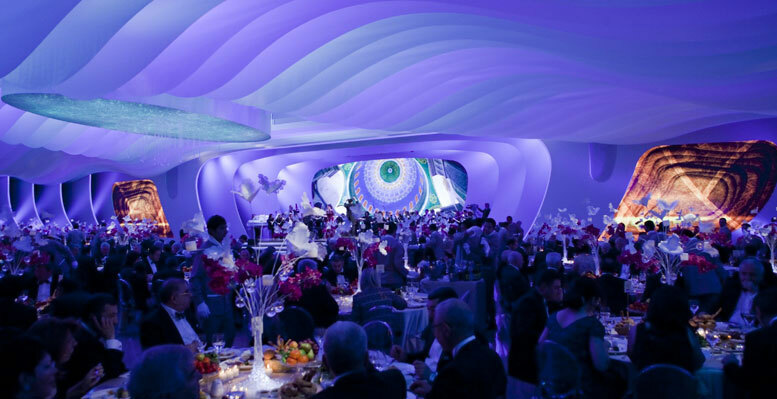 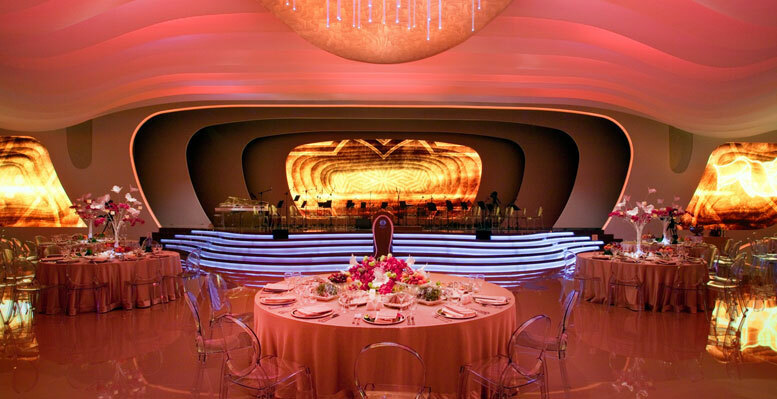 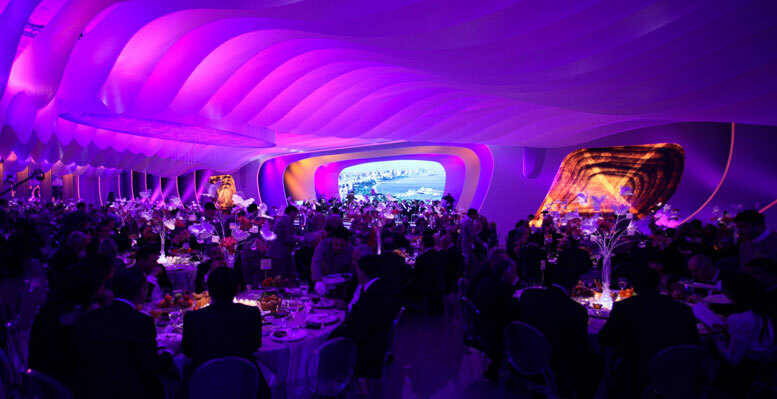 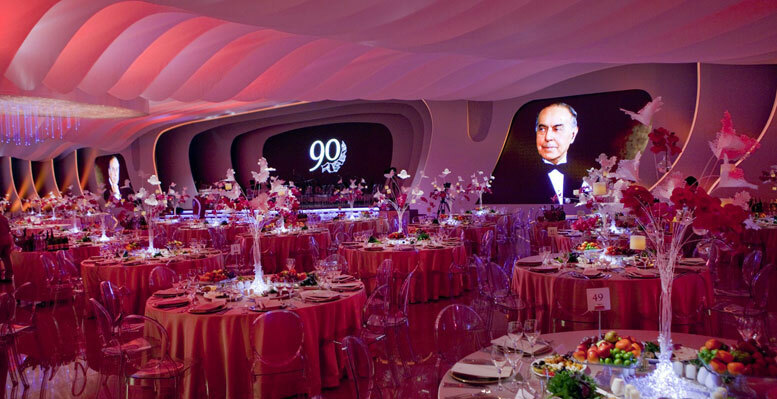 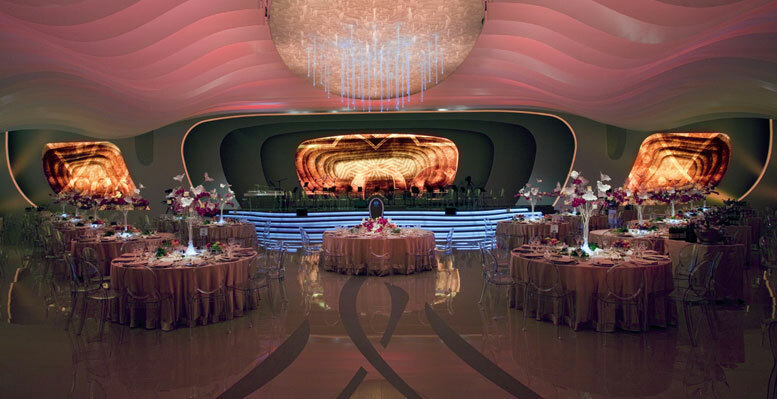 The dinner took place among the striking architectural context of the Heydar Aliyev Center. 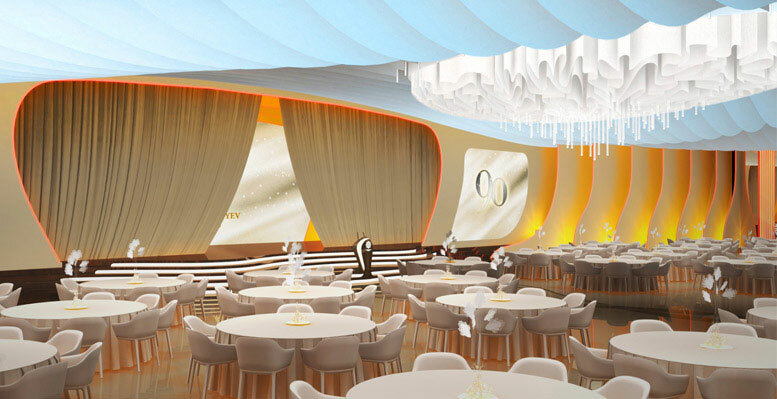 A drop paper backstage creates particular scenographic effects and a careful light design redesigns the space. 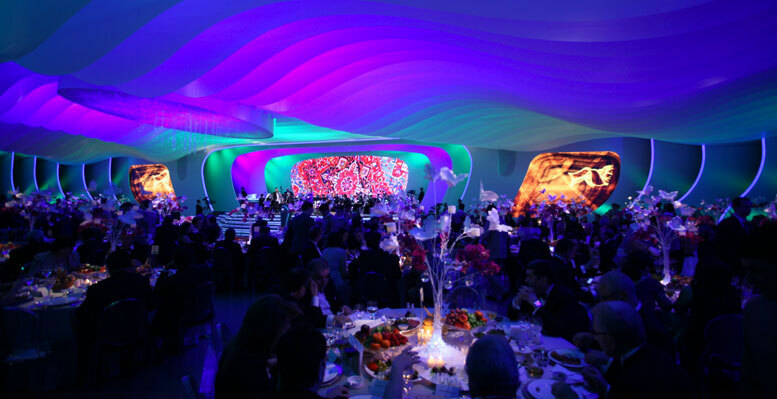 During the dinner the lights changed color and intensity, creating always new effects and a unique atmosphere. 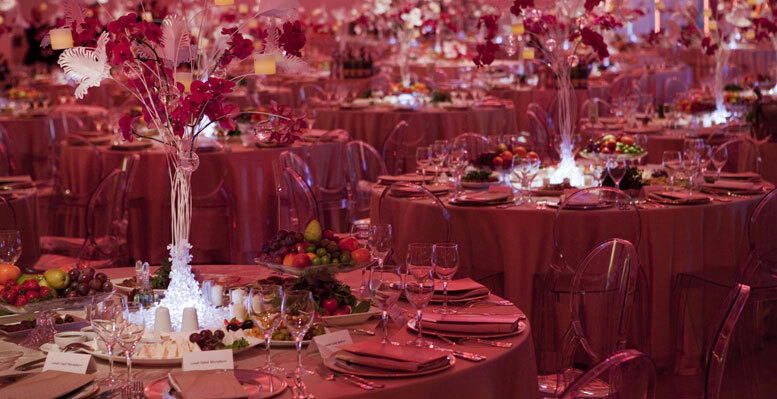 All material chosen for the set-up reveal a great attention for the details. 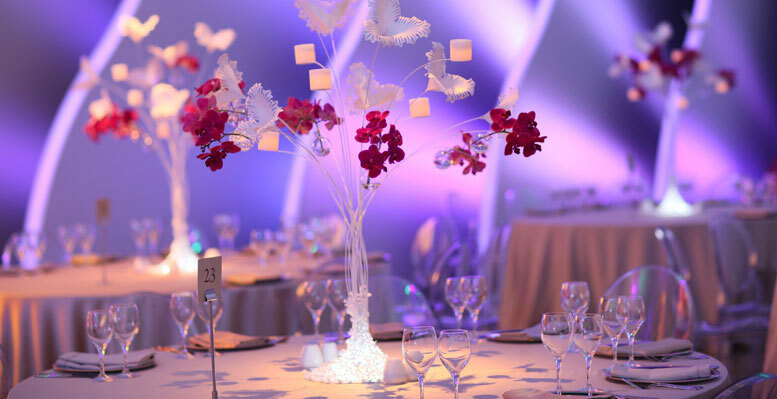 This attention is also expressed through the choice of the centerpiece, made of fine paper, orchids and small candles that appear as suspended.